A recent study indicates that having more cavities may be linked to a lower risk of head and neck cancer. Although cavities are not considered ideal in any circumstances, researchers have noticed that those who have cavities seem to be less likely to have head and neck cancer. These findings were particularly surprising since a previous study found a link between head and neck cancers and the presence of periodontal disease. The study was published in “Jama Otolaryngology—Head and Neck Surgery” and involved nearly 400 people with head and neck cancers and more than 200 people who did not have cancer. Researchers found that those with many cavities were more than 30 percent less likely to develop head or neck cancers even after other factors were considered. Study authors believe that this unexpected link may be due to the fact that the bacteria responsible for tooth decay produce lactic acid, which may have a protective effect against cancer. However, this is not a reason to let cavities continue untreated. In fact, the findings emphasize the importance of maintaining a balanced diet as well as good dental hygiene. You may also want to include yogurt with live cultures in your diet. These yogurts contain healthy bacteria strains that also produce lactic acids. Those bacteria may also have a protective effect against other types of cancers, obesity, inflammatory disease and allergies. 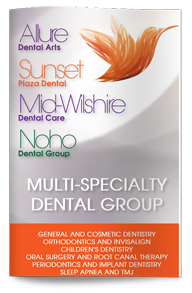 Call us to learn more about protecting your teeth and body through nutrition or to schedule your appointment with our expert in root canal in West Hollywood.